Copyright © 1999 - 2019 U.S. 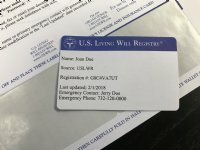 Living Will Registry ®. All Rights Reserved.